This Master has been developed for graduates in Law, lawyers who want to improve their law knowledge and practice in an increasing global economy scenario and other persons with interest in developing their career in the International Law framework. This Master expressly includes a unique training trip to New York, in which students will have the opportunity to study American Law at the campus of Columbia University. The applicants must be able to attend and dedicate one year to the programme as a full-time student. It is also mandatory for all the students to have an outstanding knowledge of the English language, as it is the official language of the programme and therefore all the lectures are given in English. American law week: the Master includes a unique training trip to New York, in which students will have the opportunity to study American Law at the Columbia University campus. Thinking globally is the aim of the Master in International Law: globalization and economic crisis are transforming the practice of law which is becoming more international. Nowadays, even family business are likely to face complex issues involving employment and immigration law, international trade issues and sophisticated tax and health law regulations. Thus, the programme is designed to appeal to both local and foreign studentswho wish to obtain a specialist qualification in international law, international relations and foreign trade. The knowledge of international law is important to graduates for different reasons. Public international law has taken into account the effects of globalization and the necessity of protecting general and common international interests. It is also a reality the importance of the international community and, in consequence, of the international relations and the foreign trade. The Master in International Law wants to reflect this broader perspective. In order to work as a lawyer with enough guarantees, it is necessary to acquire practice knowledge and the correct application of it. This learning mechanism can only be acquired in the centres which are in actual contact with the leading local and international law firms. With this simple but at the same time innovative principles, ISDE launches the Master in International Law, International Relations and Foreign Trade. This program allows the student to travel to New York, in order to attend master classes, guided visits to the main North American Law firms and participate in workshops for one week. In order to practice law with sufficient guarantees, it is necessary for any lawyer to acquire the practical knowledge and its correct application. This learning mechanism can only be acquired in the centers such as ISDE that are in close contact with the most relevant local and international law firms. We are the only Academic Institution created by more than 200 national and international law firms. We guarantee a period of internship with full integration within prominent law firms. An accurate learning opportunity that will give you security in the beginning and future of your professional career. A chance to learn from industry leaders, to learn to work with the best in the sector. 80% of the large law firms that hire recent graduates, claim to select those that have a master that includes several subjects for and ease of adaptation and rotation within the different departments. The master introduces you to the lawyer from a practical perspective: you will analyze real cases, write legal texts, improve your oral expression and you will have contact with the most outstanding professionals of the sector. 90% of our graduates are finally incorporated to work in the firm where they have developed the internship period. Jobs in ISDE Alumni. Networking with more than 10,000 international alumni, teachers and program directors, made up of professional firms from more than 30 countries. Program referenced in Financial Times. The Master in International Law, Foreign Trade & International Relations, opens a wide range of professional opportunities. On the one hand, because its curriculum is not limited to a specific area of law, but deals with all those legal specialties that may have an international component. On the other hand, because both commercial activity and public and private relations no longer understand borders. In short, this is one of our most recognized master’s degrees worldwide and is also one of the most professionally oriented offered. Law and consultation firms in all areas of law (commercial, civil, tax, labor, administrative, industrial and intellectual property, European law, public international, real estate, corporate, procedural, criminal or international trade, among others). Legal departments of national and international companies. International organizations such as the European Union, the UN or the European Free Trade Association. Other types of entities, such as foundations or NGOs, that develop their activity in an international context. International economy and foreign affairs. VI. Industrial development organization (ONUDI). Resolution of Corporate conflicts (Drag Along, Tag Along, Russian Roulette, Texas Shoot-Out, etc.). The importance of the accounting in the Companies. Timelines. Financial analysis of the Company situation (Solvency, profitability and liquidity). Standards for taxing cross-border income, BEPS plans and EU tax Directives. Structuring purchase of Companies and Real Estate: auction process, beauty contest, distressed acquisition, etc. 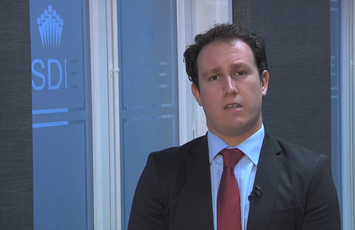 EY Spain He is the HR Coordinator for Tax and Law business in Italy, Spain, and Portugal. Previously, he was the HR Manager in Cuatrecasas Abogados. 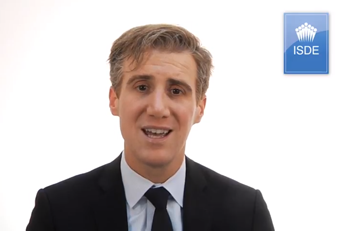 Mr. Risco started his professional career in Arthur Andersen as a consultant in performance and reward practice. In the past he also worked as HR Associate in Deloitte and HR Manager in Cuatrecasas. He received his Bachelor in Business Administration from the University of Extremadura and his Master in Human Resources Management from San Pablo – CEU University. Partner ONTIER He is a member of the BAR Association of Madrid and he was a partner of the Spanish Law Practice of EY (Ernst & Young) with full dedication to Corporate Law and Merger & Acquisitions. He has a wide experience in Corporate Law, national and cross border M&A acting either for the purchaser or seller. He also served as Secretary to the Board of Directors of several companies. 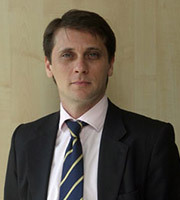 Mr. Silván is also professor of M&A and Commercial Law at Instituto de Empresa (IE) and San Pablo CEU. 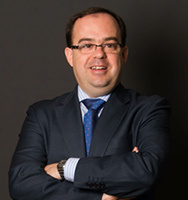 Director partner Dentons Barcelona Juan Ignacio Alonso is the legacy managing partner of Dentons’ Barcelona office. His main areas of activity are corporate and commercial law, M&A, litigation and arbitration, real estate and retail distribution. 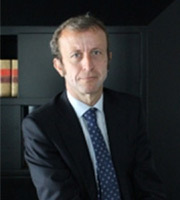 Prior to Salans, he was a founding partner of the Spanish corporate law firm Alonso, Armand, Boedels y Asociados, S.L. Juan acts on behalf of retail and fashion groups doing business and opening shops in Spain and advises luxury groups on labour and commercial matters. He also assists clients in proceedings against Spanish courts on commercial and real state matters. The Barcelona office and, in particular, the Dentons procedural law department in Barcelona, led by Juan Ignacio Alonso Dregi, has been recommended by the international publication Chambers & Partners Europe in 2016 as one of the leading offices in the city in this area (“This firm has an outstanding reputation in terms of legal proceedings and arbitration in Barcelona, customers appreciate the negotiating skills of the team and the experience in court”), and Juan Ignacio Alonso has been designated as one of the best lawyers in the field of ” Dispute Resolution “by said publication. Toda & Nel-lo Abogados Lawyer specialized in Corporate Law, Transactions and International Contract Law. He has a broad experience at advising Spanish and foreign companies in Mergers and Acquisitions, recruitment, trade operations, late payment claims and Corporate law. He has specialized in sales distribution (agency, franchise and distribution), as well as in the energy, retail and automotive fields. Member of the Governing Board at Barcelona’s Lawyers’ Association (ICAB) from June 2007 to June 2009. Board Member and Treasurer of the ICAB from June 2017. 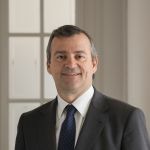 Former President of the Section of European Community and International Law at Barcelona’s Lawyers’ Association (2002-2007). Lawyer of the Buenos Aires’ Lawyers’ Association (Argentina). Victor Rae-Reeves Clyde & Co.
Patrick O’ Malley Interpresas Consulting. Tanya Vella Consultor independiente Malta, Francia y España.